Thank you for visiting our Dacomitinib (Vizimpro®) page. If you are interested in seeing the full treatment regimen page for Dacomitinib (Vizimpro®) sooner rather than later, please cast your vote for Dacomitinib (Vizimpro®). Votes from users like you are important as they help us prioritize the order in which we build our content. The more requests we receive, the faster we will build it! While we work on uploading the pages that matter to you most, we hope that links to journal article references for Dacomitinib (Vizimpro®) shown below will prove useful in the meantime. 1) Wu YL, Cheng Y, Zhou X, et al. Dacomitinib versus gefitinib as first-line treatment for patients with EGFR-mutation-positive non-small-cell lung cancer (ARCHER 1050): a randomised, open-label, phase 3 trial. Lancet Oncol. 2017;18:1454-1466. 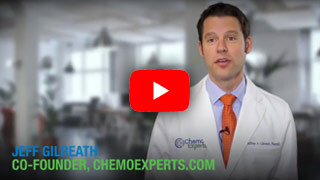 What is Lung Cancer, Non-Small Cell Lung Cancer (NSCLC)? A disease of the tissue found in the lung. Non-small cell lung cancer (NSCLC) is the most common type of lung cancer. Known causes include smoking and exposure to environmental toxins. The stage of NSCLC can vary at diagnosis and throughout treatment. Stages include stage I, II, III, and IV. The effectiveness of the treatment may depend upon the stage at diagnosis.